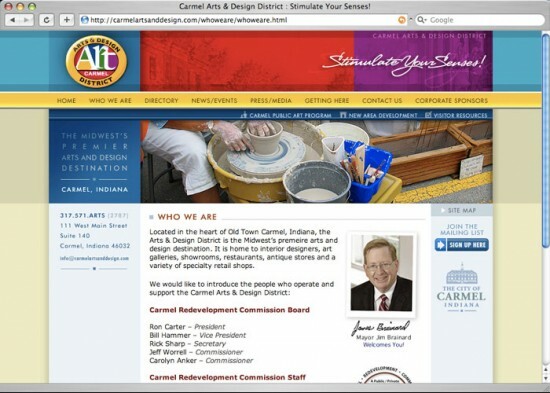 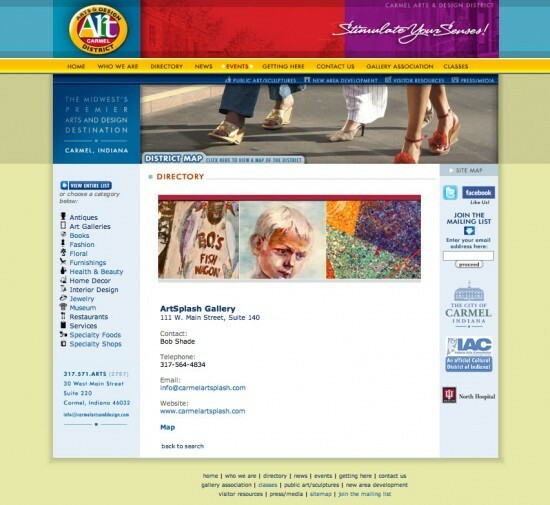 Full website for the Carmel Arts & Design District featuring resources, merchant directory, calendar of events and info for the community and visitors. 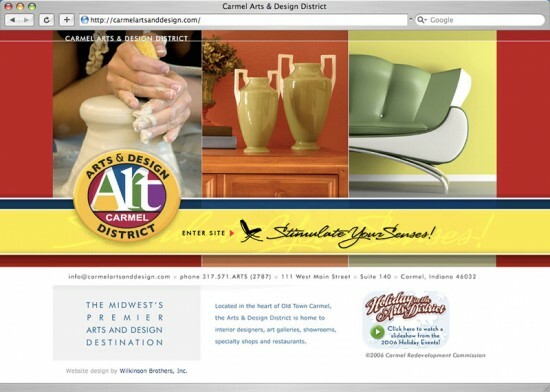 Create a contemporary design style that reflected the eclectic mix of boutiques, galleries, restaurants and interior designers you’ll find in the District. 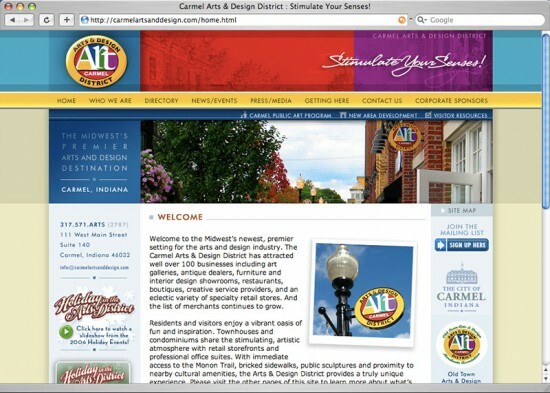 The site needed to be a resource for visitors, but also spur interest in business owners as a place they can relocate to.